Want instant access – click below to enrol and pay via paypal. Course was great and met my expectations. Will come back again. Good course, however would have liked a bit more time on headers & footers and also mail merging. Great course. I have picked up quite a few tips on how to format documents that I will need in my current role. would really like to do the advanced now! Found the course very helpful learnt quite few new tricks that I didn’t know before. Lecturer was great and explained all aspect of the course. I found it very interesting but sometimes i can’t catch up due to my eye vision. But still trying to find it and learn through. Thanks for the help of Lorraine Hanh. I would like to thank Lorraine for her time spent training me on Word 2010. It has been very helpful and i will certainly apply it in my day tot day work. The course was very helpful, learnt a lot. Lorraine was very helpful. This course has been very helpful and gave me a good overview of Microsoft Word 2010. Lorraine did a good job and covered all the content well. I will be using this in my job… made building blocks less scary!!! Very interesting and instructive course. Lecturer was excellent and now reference book will prove invaluable in the future. I found Word inter. 2010 to be great in cementing what I already knew from previous versions of Word and has given alot more understanding and knowledge in areas I was unsure of or hadn’t worked with previously. The instructor was patient and very helpful with all questions. I have spent the last 2 days on course with Lorraine doing Introductory and Intermediate Word – both days have been incredibly valuable and I certainly feel that I can take what I have learnt and successfully (with a bit of practice) implement these tools. Very helpful course. Second time I have had Lorraine as a trainer and I think is exceptionally good. Very good – Lorraine was excellent. Would have liked a bit more time to go over certain parts of course. Course is very beneficial. Learnt a lot of different things about Microsoft Word. Lorraine is a great teacher – very patient and helpful. Found it difficult at first to navigate around 2010 as used to an older program. Thankyou Lorraine for such a good day and taking the time to ensure we all understood the content prior to moving on. Very informative with lots of quick actions to get terrific documents. I think the quality and efficiency of my work will significantly increase. Lorrainne was an extremly good instructor and made learning very easy and enjoyable. I would highly recomend her courses. Great course, time to go home and consolidate it all. Thank you. Looking forward to next course and practicing with exercises between both courses. Very informative and helpful. Lorraine took great care to impart her wealth of knowledge. I leave today with lots of tips and tools that should see my time management increase ten fold. Teacher extremely helpful with clear and thorough assistance. 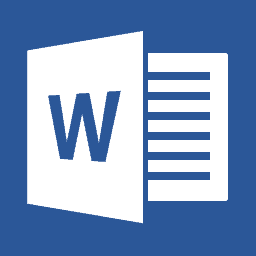 The world of Microsoft Word is vast and expansive, I have learnt a lot from this one days training. Lecturer went through course content & also gave out additional tips that were not in the book. Very helpful. Thanks! Great class, learned a lot and got may tips I can use everyday in my day to day work. I found the course to be extremely beneficial. Lorraine was a fantastic facilitator and very knowledgeable. I thoroughly enjoyed the course and would like to attend the advanced version at a later stage. I came from a very low knowledge base when it came to Word so thanks for being so patient and understanding. Course was very worthwhile and I got a lot out of it. Thanks very much Lorraine. Very informative lesson. Learnt lots of new stuff and tricks of the trade. Great refresher course on word, Very informative and easy to pick up. Was a great class. I learnt a lot of interesting things. This is a good class for self taught people. Enjoyed learning the new features on Word 2010. Thank you. This was a great class. I learnt a few new tricks that I can take back to my work and apply. It makes understanding Microsoft Word a lot easier. Very well taught – learned a lot from Lorraine and she was very patient where I needed it the most.! Very happy with the course. Many thanks! The course will assist in my workplace to increase efficiency in document reviews and updates. A large quantity of information was covered which when used will come in most handy. The course was great and went above my expectations and Lorraine was awesome, was really good just having two of us in the class. Learnt a lot and will be good to use when I am back at work. Thanks Lorraine. The course met all my expectations and our trainer Lorraine was fantastic extremely informative and kept the class interesting. I look forward to my next training session at Applied Education. Excellent course, well delivered in a classroom setting, pace suited varying needs of students. Would recommend to others. Lots to learn and practice makes perfect. Lots of practice required. I came with a very low knowledge base when it came to Word so thanks for being so patient and understanding. Course was very worthwhile and I got a lot out of it. The course went well and it met my expectations. Our Trainer was helpful and engaging which makes it very easy to learn. I would recommend Applied Education to other people and look forward to my next training. Great, could do more. Great teacher !! This is my second training session with this group and would definitely recommend them. Very clear training and answered everything I needed. Easy to listen to and explained very clearly. Thank you. lots of tips, great! Explanation is very clear. Very helpful course, really enjoyed it and learned a lot. Now I just need to keep practicing – Thanks Lorraine, great training style! Really good. We went through what we particularly wanted to know and covered everything and more. I learnt some new things and think with a bit of practise I will be fluent. Was a great course! Learnt some new things and good explanation of how tings work! Lorraine was an excellent trainer, learnt exactly what I was after in this course. Thanks so much Lorraine and the Applied Education Staff. The course was really helpful, will be back again! Great course a lot of useful tips. As a mac user it would be great to be able to do the course on a mac as there are a number of elements that are quite different. Course was well worth it. Explained the easier way of doing things rather than feeling your way through. Also introduced a few new tools that will be helpful. Thanks! A little fast-paced for me (I’m not hugely computer savvy) at times, but Lorraine is always happy to come back to any points that need clarification. I also really appreciated that she goes over what everyone wants to get out of the course at the beginning so that she covers everything that anyone might need. Learnt lots of shortcuts and lots of new things to make it easier to work with word. Thank you to Lorraine she was very helpful enjoyed the day working with her. Course wasn’t as in depth as expected. Probably need to do all 3 courses to maximise use of word. Lorraine was helpful and made sure everyone kept up with content. Learnt lots of useful things I did not know existed in Word which will be helpful in my field of work. Thanks Lorraine!!! A lot to take in – I hope something stuck! A lot to take in but I’m sure it will be worthwhile once I get the chance to put it into practice. Found course information great, but very fast and so much to cover, take in or to understand. The course covered most of the skills I need for my job, Lorraine was very helpful and a good trainer. Course was very helpful and Lorraine was great. There were a few things that we didn’t cover and maybe that is for the next level. Lorraine was super helpful, and went through the program quickly – She ensured that we went through what I specifically needed to learn, and was sure that I was comfortable before continuing. The course was excellent, and Lorraine was fantastic. She was sure to check what I needed to learn and covered everything perfectly. Great course, with easy to follow videos and step by step guide. The online videos was missing the last chapter, but it was easy to follow in the manual anyway. Very helpful and Lorraine was very patient. Very Good – Best instructor I have had so far! Learned great new tips and the facilities are amazing. Brenton was a great teacher. Course was very thorough accommodating to all questions re Word.